The perfect addition to your front porch! 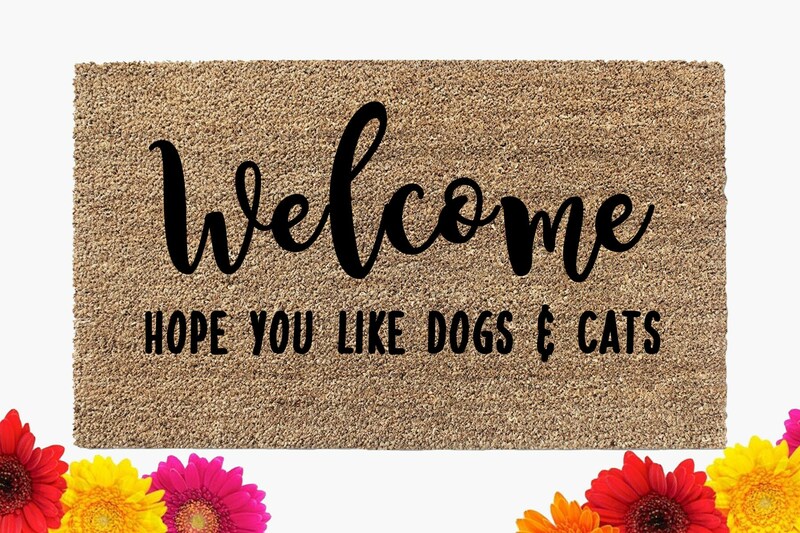 This doormat will come as pictured and states "Welcome - Hope You Like Dogs & Cats." This welcome mat is so cute. We have had it for only a few days and everyone who comes over makes a comment on it. It’s perfect for us and we love it!